Rough Science specialises in science outreach. Rough Science is a science communication and outreach company based in Melbourne and Edinburgh. Since 2011, Rough Science has produced video content, stage shows, holiday programs and class activities on a variety of themes in science. Book a Rough Science program for your school or community group today! Tesla: Death Rays & Elephants is science storytelling, science demos, and a critique of modern science debates all rolled into one sharp stage show. Nikola Tesla was a pretty big deal in the history of high voltage electricity, and this show explores the kooky oddities in his life. BOOK NOW FOR SCIENCE WEEK! Tesla: Death Rays & Elephants for schools! Nikola Tesla is one of the most enigmatic figures in the history of electricity. What’s fact? What’s myth? And what has it got to do with elephants? 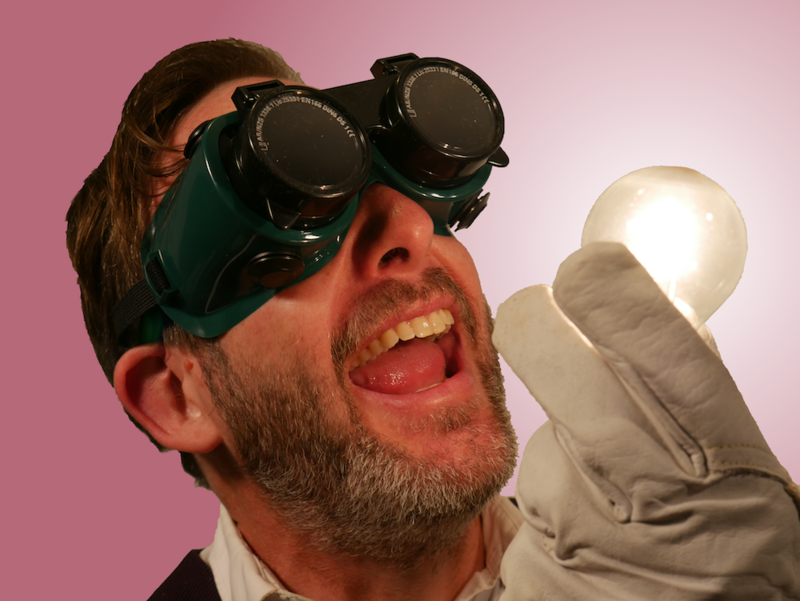 In this show adapted from the Melbourne International Comedy Festival performance, science communicator Sean M Elliott tells the story of Nikola Tesla, the history of high voltage electricity, and the kooky oddities in his life. The show also features a live Tesla Coil, which spits out electrical sparks 30 centimetres long. The show’s content is adapted for the audience. Whether you are studying electricity, or if you want a fun show for Science Week, Tesla: Death Rays & Elephants is for you! Fill out the form below to find out about dates and costs. Fill in the following form and you will have a response within 24 hours. Our bookings officer will be in touch within 24 hours.